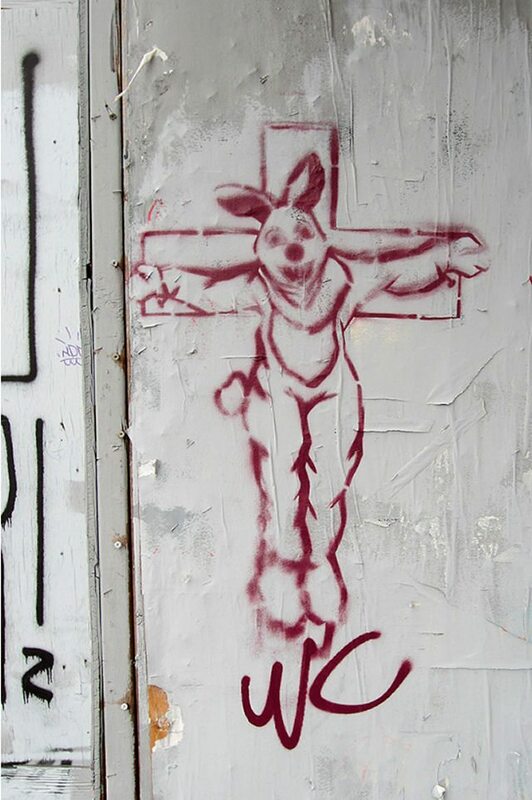 Street art reminds us of the true meaning of Easter. FIELD NOTES: From what we recall from our secular Easter education, the magical, chocolate-egg-laying Easter Bunny sacrificed itself so we could eat chocolate. By that understanding, it would be a terrible waste of a sacrifice if we didn’t gorge on chocolate during the holiday (or any time, really). So long as we confess our indulging on a regular basis, we’ll be absolved of our gorging and never get fat! Thanks for reminding us of the true meaning of the holiday, mysterious street artist. And we hope you all had a great Easter, regardless of how you chose to celebrate it. Once a week, Vandalist features some of the most interesting street art and graffiti from around Toronto. Find something great? Email [email protected].